Long Beach has a lot of bike paths and lanes and yesterday they got about two more miles worth. In celebration of Earth Day and in anticipation of National Bike Month (Long Beach will host a bicycle festival and film festival), the city unveiled the Bixby Road Bike Lane between Country Club Drive to Cherry Avenue. It will connect riders to Los Cerritos Park, Longfellow Elementary School, and Hughes Middle School, and pass through a portion of the Bixby Knolls’ commercial district on Atlantic Avenue. 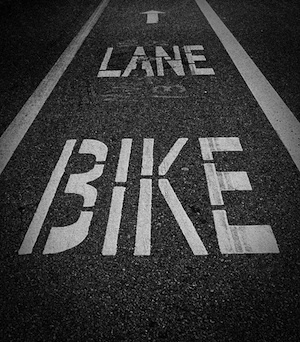 The lane is also a link within the city&apos;s larger bikeway system, completing a 33-mile bike loop that includes the L.A. River, Carson, San Gabriel and Shoreline Beach bike paths. The new lanes are the latest in the 34-miles of bikeways installed in Long Beach just this year.